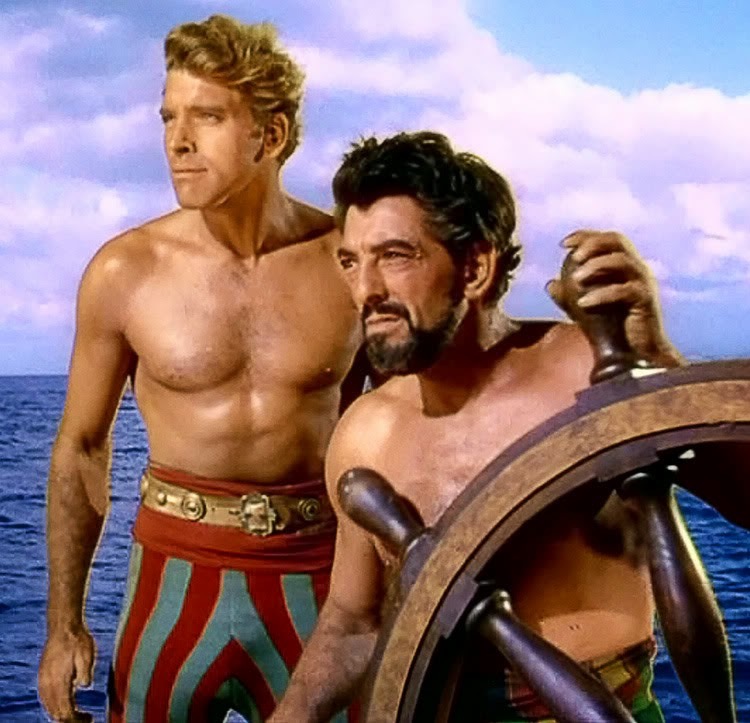 HOLLYWOOD – Survivor from the Golden Age of Hollywood, Sir Edwin Fluffer, reflects on the going to the man Hollywood insiders once called the Toothy Arse: Burt Lancaster. Whenever you wake up next to Burt Lancaster you know it must’ve been one of those nights. Then when you roll over and see Tony Curtis lying there it soon becomes apparent that that you’ve been the salami in a spectacular Hollywood sandwich. We’d just finished filming Trapeze in which we all three attempted to woo Gina Lollobrigida with fairly mixed results and art had come to imitate life at the wrap party. Of course, darling Gina was having none of it, so Burt, Tony and I decided to bat on at a little jazz club I knew. Left foot red was easy enough, Burt got left hand yellow and Tony had right foot green. There are no prizes for guessing what happened next!